Addison has grown up and lived her entire life in the Compound a secret city in Texas where those who have advanced brains live. Everyone living inside the city has special powers like the ability to control mass, telekinesis, and in Addie’s case an ability called Divergence where she can see both futures for any choice she makes. 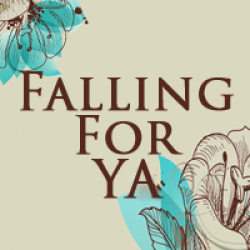 The novel focuses on Addie searching two different futures when her parents tell her that they are getting a divorce and she has to choose who to live with. What I loved about this book was the mystery it had. I was never sure which future Addie would choose and what would happen to her right until the end. I also enjoyed that at certain points her lives coincided with each other. It was fun to see who Addie grew into in each of her lives and how much this one choice changed things. Addie was a fun character to follow she really made the book for me. I liked how loyal she was to her friends. One of my biggest pet peeves in YA is disappearing best friends, even in the future where Addie chooses to move away she still talks to Laila daily and Laila actually plays a pivotal role in the book. I also liked that in either scenario Addie maintained the same personality. It wasn’t like reading a story about two different people, Addie was the same person she was just in two different futures. The romance in this book was also great. There were two love interests but there was no triangle! In the life with her father Addie meets a “Norm” boy named Trevor, who after an injury is still trying to figure out who he is. Addie is going through something similar now that she isn’t linked to her powers so it was great to see their relationship develop from just friends to something more. In the life with her mother Addie ends up with the head of the football team, Duke, who was the traditional quarterback stereotype. I never felt like I could fully trust Duke though so it kind of biased me in terms of love interest material. 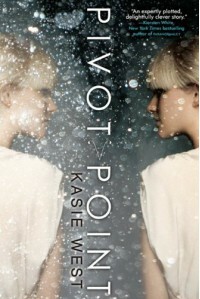 Overall, I enjoyed Pivot Point the mystery kept me engaged and the characters really made the story. I now eagerly awaiting the sequel I can’t wait to see what happens to Addie next!